Airtel Triple Data Offer has existed before the year 2017, but till now only some people are enjoying the offer in Loki, some of us thought that the offer is no longer available. 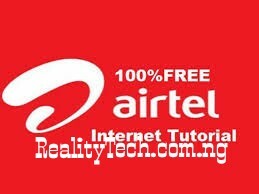 So, today, I will share it with you because it is still hot, the new method of activating the Airtel Triple Data offer. This offer is similar to Airtel 4.6 GB for the N200 which was recently blocked. Airtel Triple Data Offer rewards you with 3x the amount of data you purchase For example, if you buy a data bundle of the N500, which gives you 750 MB of data, then you should get 2.2 GB of data. You have three times the 750 MB of purchased data. It also goes for other plans, but in general, not all Airtel SIM cards are eligible for the offer. To see if you are eligible for this, you have to follow the steps given below. There is no harm in trying it. Dear Customer, Congratulations! You can enjoy 100% data bonus every day for the next 3 months. If you have received such a message, continue to follow the steps, but if you do not receive such a message, then this clearly means that you are not eligible for the proposal. Next, send MIFI to 141. After that, either recharge N500 airtime or N 1,000 airtime, if you want to use normal code, you can also recharge N2,000 airtime; * 126 * rechargepin #. If the recharge is successful, then just buy any data plan spent on airtime, suppose that you have recharged N 1,000 airtime, and you subscribe to the general plan, then you should meet the data plan three times. To see your data balance, just dial * 223 # and you will get a pop-up that will show balance of your remaining data available. You can also use * 140 # to receive a message for all your data balances including bonuses. Nice one. Enjoy while it last. Don't think it still works.